cheap ground stands for satellite dishes. 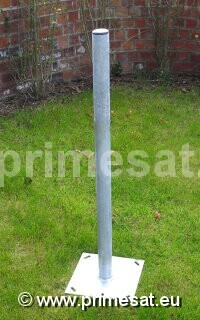 Low cost non penatrating patio mount for satellite dishes. Galvanised. 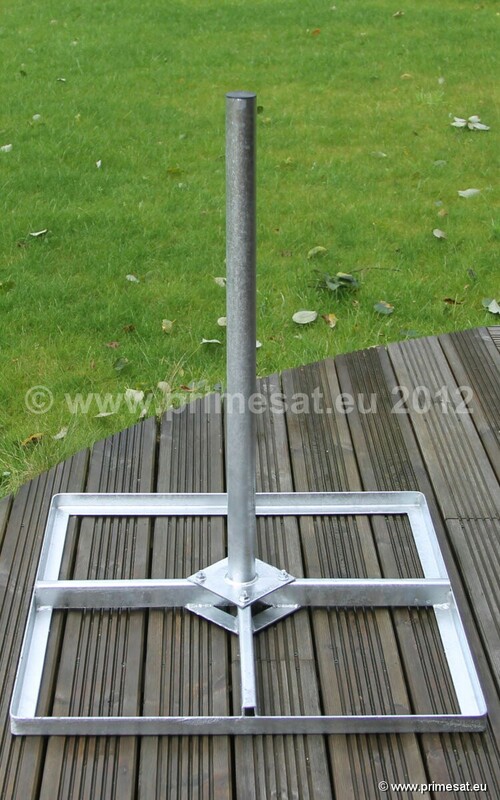 Low Cost Ground Stands including non-penetrating patio mount. Dipped galvanised is the longest lasting of all plating processes. Ideal for dishes up to 1.0m. Use 4 X coach bolts and plugs. Dipped galvanised is the longest lasting of all plating processes. 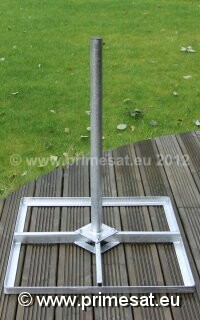 This patio mount can be weighted down with paving stones, blocks, sandbags etc. or by filling the square recesses with concrete. It is ideal for a flat roof where fixings are not possible. Use with dishes up to 1.0m.